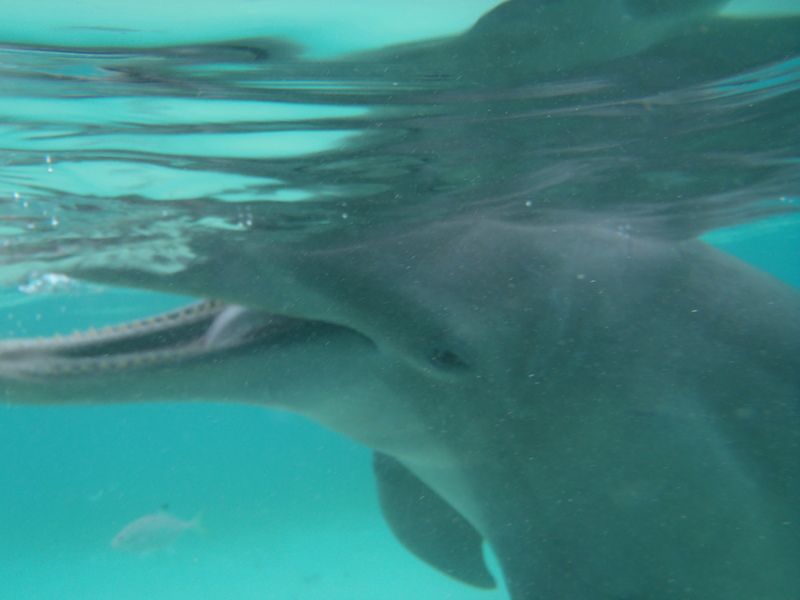 The Best Thing To Do In Roatan: Dolphin Snorkel! | We LOVE Roatan Blog!! For most people, their favorite creature in the sea is a dolphin. They are smart, agile and always smiling. What´s not to love? Beyond that, dolphins are widely considered the most social animal in the sea. We are really blessed in Roatan to have one of the best dolphin centers in the world. Anthony´s Key is home to a pod of 32 Atlantic bottle nose dolphins, of which 3 are new born babies. They are housed in a large open ocean pen and individually looked after by a team of caretakers and marine biologists. The center is open to the public and is one of the few centers in the world to offer an unrestricted snorkelling experience. The experience starts with a brief introduction in the water where you learn about dolphin behavior. From there you put on your snorkel gear and can snorkel with all 32 dolphins without any trainers. The dolphins are very curious and playful and will actually come right up to you, swim under you and even play catch with you. It is a free interaction so the dolphins are free to swim as they please without any guidance. The Roatan Dolphin Center is also one of the few in the world which actually lets their dolphins out into the open ocean where they are free to not come back if they choose. The dolphin snorkel is consistently ranked as the best excursion in Roatan, make sure to check this out on your next visit to the islands!